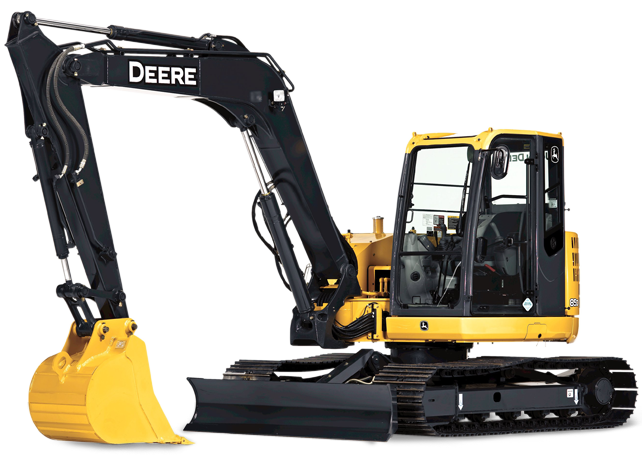 Compact Excavator Rental – John Deere 80D, is available for rent in Rochester NY, Ithaca NY and the entire Western New York region from the Duke Company. Mid-size excavator. Features an interim Tier 4 engine, reduced tail swing and independent swing boom. The machine has a lifting capacity of 4,284 pounds, maximum digging depth of 13 feet, arm force of 8,554 pounds and operating weight of 18,821 pounds.